Bobbie Bernard Williams was born on October 14, 1953 to the late Clemmon Williams and Ella Mae Howard. On Friday, February 23, 2018, Bobbie Bernard Williams entered into his eternal rest to be with his Lord and savior Jesus Christ. He was preceded in death by his sister Trina and brother Michael Williams. 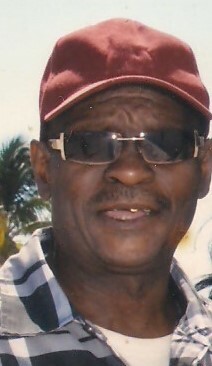 Bobbie leaves to cherish his memories, his wife of 26 years, Lisa Williams; three daughters, Shanieka Moore, Shantnae (Chrissy) Rhone and Shantice Rhone; three sons, Bobbie B. Williams, Jr., Trevon Williams and Jack Robinson; 13 grandchildren; brothers, Greg Williams (Trina) and Albert Todd (Traci); step-mom, Barbara Williams; two great aunts; auntie, Joyce Campbell; sisters-in-law, Martha Rhone (Randy), Rose Rhone (Kenneth) and Denise Brewton; brothers-in-law, John Byrd (Pat) and Anthony Brewton; best friend, John D. Williams; and a host of nieces, nephews, cousin, other relatives and many sorrowing friends.